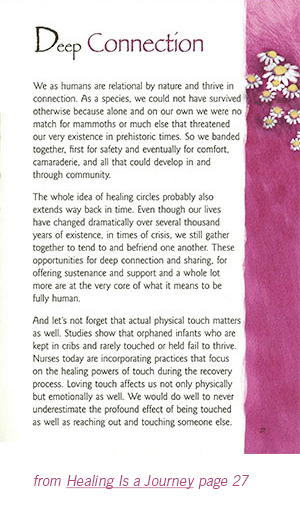 In this loving tribute to friendship, Minx Boren embraces the many ways friends enrich and enliven our lives. Whether it’s catching up over a cup of tea, going on a walk ‘n’ talk, or helping each other through a trying situation, they keep us grounded in a world that is constantly changing. In order to gracefully navigate and make the most of each unique friendship journey, Minx encourages allowing your heart and mind to acknowledge the fullness of who you are as well as the wholeness of those whose lives intersect with yours. Often expressing herself through eloquent poetry, she openly shares what she has learned from a lifetime of nurturing and celebrating her own friendships as well as working with clients who are earnestly seeking to do the same. 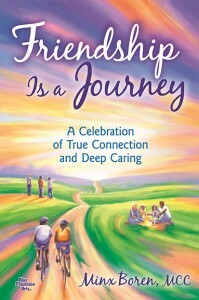 In Minx’s words, “Friends are the patient gardeners who, year after year, encourage our souls to blossom.” She hopes this book will encourage friendships everywhere to grow and flourish. Everyone’s path to healing is different, and sometimes the journey can seem more than we can bear. When this happens, it’s often life’s smallest blessings that bring the greatest peace – things like a cup of honeyed tea, the warm embrace of a loved one, or an inspiring story or verse that sparks feelings of hope and happiness. Minx Boren has coached hundreds of clients and facilitated countless group conversations to empower men and women to reach beyond their comfort zones in order to live the most joyful and fulfilling lives possible. Through her reflective essays and poems, she emboldens each of us to confront our fears, make wise choices, be present in every moment, and accept offers of kindness and support when they are given. 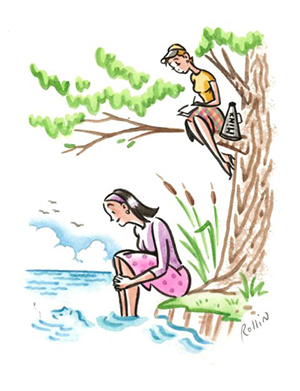 Spring is a wonderful time for renewal and feeling energized. On our Spring Top 12 Book Pick list, we’ve included an array of gifted authors to help inspire and uplift you. We urge you to support these spirited talents! Save this list all year round! 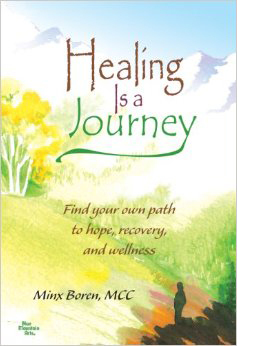 A great book resource for you..
HEALING IS A JOURNEY – by Minx Boren MCC, is about our ongoing quest for well-being and wholeness. It’s about staying mindful and vitally alive while learning from the inevitable losses and reverses every human endures. Coach Minx uses evocative poetry and prose to address topics ranging from extraordinary self-care to deep connection, from getting unstuck to thriving through adversity.